The event that caused the extinction of the dinosaurs may have also been responsible for silencing the buzz of a prehistoric insect -- bees. A team of researchers led by University of New Hampshire biologist Dr. Sandra Rehan used fossils as well as DNA analysis to show that bees of the subfamily Xylocopinae experienced a sharp population decline at the same time of an asteroid or comet striking Earth, an event that ultimately led to the total destruction of around 80 percent of all species on the planet, including dinosaurs, reports The Weather Channel. The team studied the Xylocopinae subfamily -- which includes the carpenter bee -- because they could trace the group's evolutionary history back to the Cretaceous Period, when dinosaurs still roamed the planet. 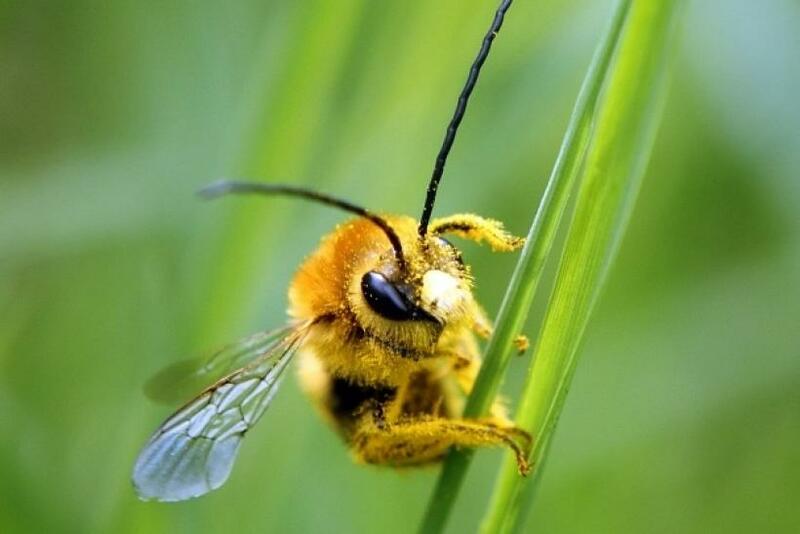 To rebuild the bee’s evolutionary timeline, they used the DNA analysis of 230 species of bees. The bees had been fossilized in amber. The study revealed that approximately 65 million years ago, a halt in the evolution of the bees occurred -- marking a likely extinction event. This happened during at what scientists refer to as the K-T Boundary, the border between the Cretaceous and Paleogene geologic periods. Earlier research suggests there was a major decline in flowering plants during this period, a loss that would have directly affected the bee population as well, reports the BBC. But due to the "relatively poor fossil record of bees," Rehan said confirming the bee extinction has been challenging. Using the Xylocopinae group as well as studying flower fossils that allowed bee relatives of the group to pollinate them, the team was able to more accurately validate the theory more accurately. "The data told us something major was happening in four different groups of bees at the same time," said Rehan. "And it happened to be the same time that the dinosaurs went extinct." She added that the data could possibly help scientists understand the current "pollinator decline and the global crisis in pollinators today."